After six months at home enjoying a warmer climate I have returned to the British Antarctic Surveys Rothera Research station. I spent eighteen months living and working here from October 2000 and it’s easy to start taking it all for granted. Now I’ve had a break and returned, so has all the excitement. It’s not just the stunning scenery and wildlife, the isolation and the simple way of life makes living here a very special time. For everyone arriving at the station the first few days are packed with information sessions and training. 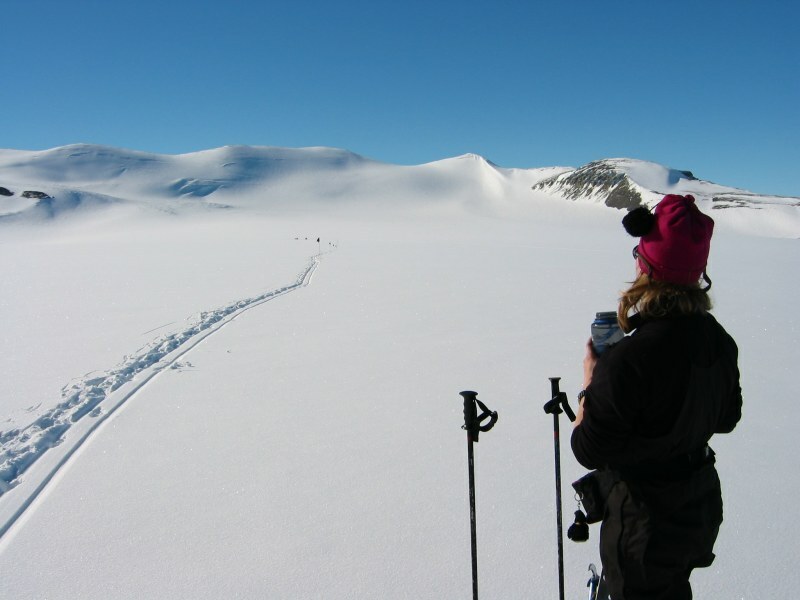 On the first day you are given lessons in driving skidoos, making weather observations, using high frequency (HF) radios, co-piloting aircraft, and carrying out basic first aid. The following two days are spent suspended from ropes, sliding down icy slopes, rescuing people from crevasses and setting up campsites. Although it is a serious business and the skills you learn could save your life you can’t help but chuckle when you’ve spent a day sliding down snowy slopes trying to stop yourself with an ice-axe. As I arrived early in the summer season I spent rather a large amount of time digging snow from around buildings and my equipment. As I write this I am now two hundred miles from base, sitting in a tent, waiting for the snow to melt in the pan before I can have my cup of tea. I am very lucky in that my work takes me away from the Station and out into remote areas to practise all the mountaineering skills I have gained. As one of the biological assistants I carry out a multitude of jobs and one of these is to take care of experiments at sites of special interest. This site is called Mars Oasis and is situated on Alexander Island. 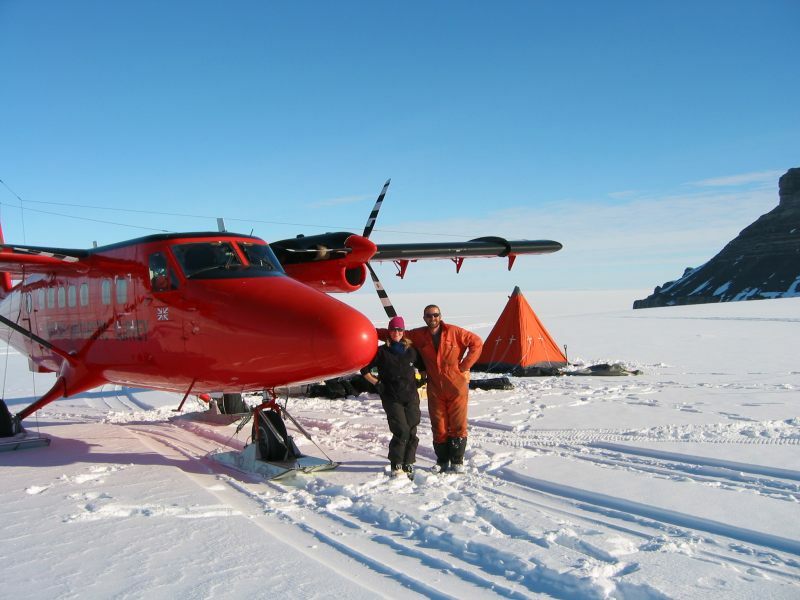 It took two hours to fly here in one of our four Twin-Otter aircraft and our nearest neighbours are Jim and Richard at Fossil Bluff camp, some 50 miles away. 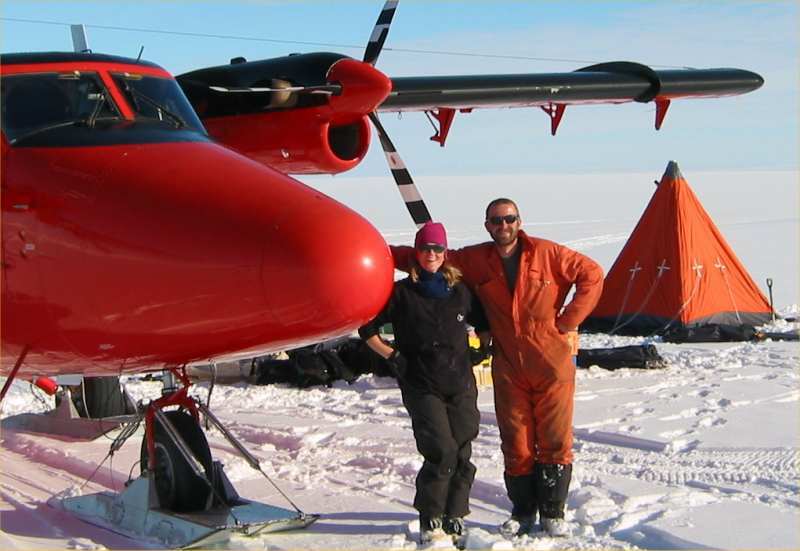 The Twin-otters have specially adapted skis fitted to their wheels to allow them to land on any safe snow or ice surface, or on wheels at Rothera’s gravel runway. The isolation and difficulty of getting to our sites means that our camping gear is quite comprehensive. It took three flights to get our field party, consisting of myself and a mountaineer guide, and all our equipment to the site. Food is supplied in army ration boxes that should contain enough calories for two men for ten days, and as luck would have it this includes a 125g bar of Dairy Milk per person per day! The work site is four kilometres from the camping site and our first job was to flag a safe route for skiing and skidoo-ing along each day. It is wonderful to have the opportunity of skiing down to work in the morning but you must remember that it will mean skiing four kilometres uphill at the end of the day. The work has gone very well this year with the installation of a new remote digital camera powered by solar panels and wind generators. 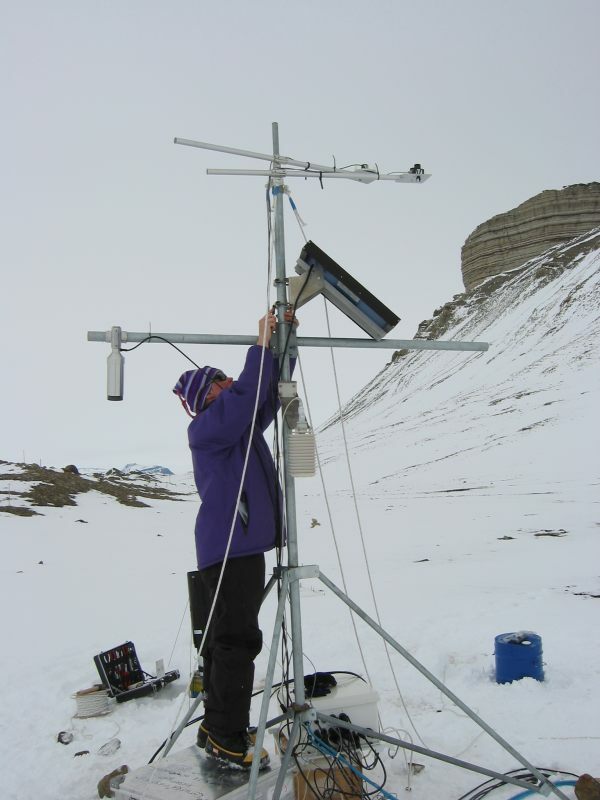 The camera was specially designed by British Antarctic Survey engineers and will take one picture per day throughout the year to help us monitor the biological site. This site has been studied for a few years now and is home to several mosses, lichens and arthropods despite its remote and hostile location. 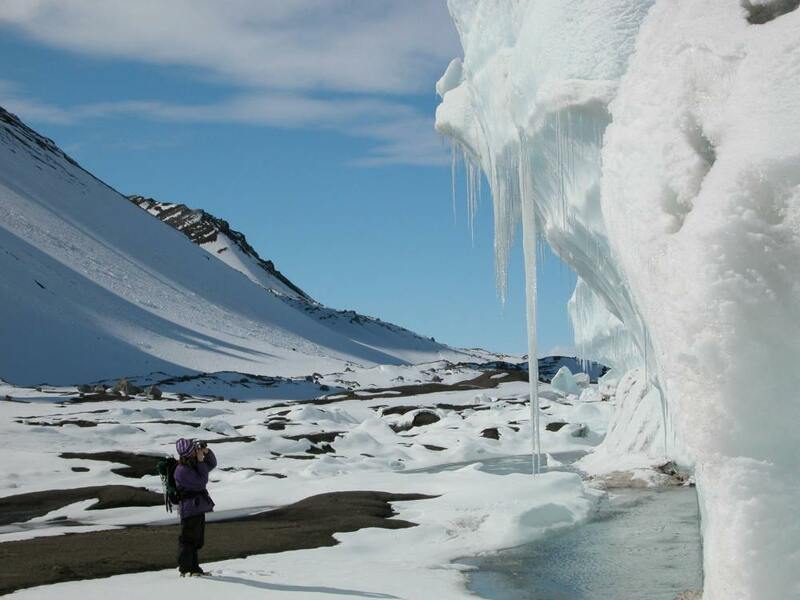 It also boasts dramatic scenery with towering pressure ridges which have been pushed up against the island by the main ice sheet. We’ve been very lucky with weather so far and fingers crossed it continues. In a Pyraimd tent, Antarctica.